On September 1934 the Berlin Church began the Day of Prayer for priests and seminarians. This first “Priest’s Saturday” marked the beginning of a prayer movement that spread with an extraordinary speed in the German speaking countries and in many other parts of the world. 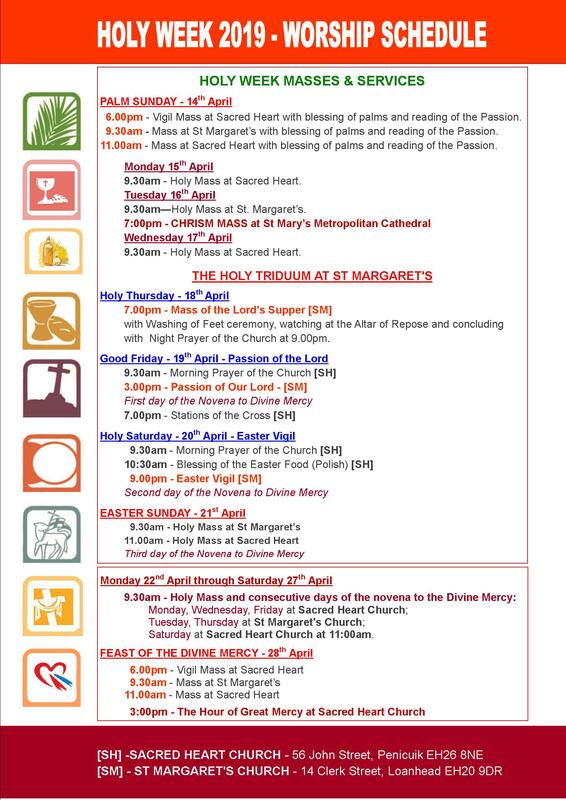 Since then the “Priest’s Saturday” has been renamed the “Day of Prayer for Priestly and Religious Vocations” and is now mostly celebrated on the Thursday before the First Friday dedicated to the Sacred Heart. It is perhaps hard for us to understand why this Day of Prayer met with such enthusiasm especially since the clergy of those days were so very dedicated and well trained, and the seminaries were full. Why did the promotion of a Day of Prayer for Priests fascinate the faithful so much? The clear signed had already at that time perceived the confusions and challenges which the seizure of power by the National Socialists would bring to the Church. 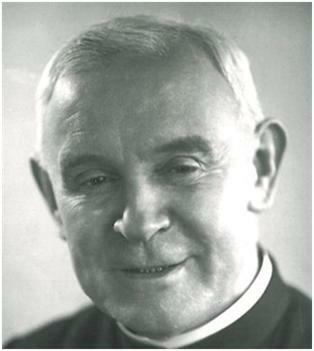 The Berlin priest, later to become Bishop of Ermland, Maximilian Kaller, expressed already years before the fear that “in the following years in different countries there will be a lot of difficulties for priests.” In any event, the responsibilities of the clergy were constantly increasing and great effort was demanded of them. For example, in Berlin since the Imperial Foundation the population had grown from 800,000 to 2,000,000 people. A new Diocese of Berlin was founded to coordinate the pastoral care of the members of this ‘Diaspora’ Church. Father Bernard Lichtenberg of Sacred Heart Church, who was later to become Provost of the Cathedral, alone founded five subparishes out of his original parish of 36,000 Catholics. Such new responsibilities could not be managed simply by the priests working harder. It was necessary also to see how the priests could find through their spiritual life a deep sense of devotion. Bishop Kaller, “a pioneer of modern pastoral care”, shared his concerns on this matter with Father Paschalis Schmid, SDS. These needs met with a deep response in him. Father Paschalis Schmid was born on August 25, 1887 in Altis, near Hergensweiler, in the Allgäu, near Lake Constance. In 1902 he entered as a candidate the young Religious Society of the Salvatorians. He studied theology in Rome where he got to know better the Founder of the Society of Divine Saviour Father Francis Jordan. Over a period of twenty years he worked as a teacher and administrator building up the new Minor Seminary of the Salvatorians in Bad Wurzach in the Allgäu. He was well aware that often because of economic problems not all those young people who applied to this “Mission Seminary” could be accepted. On 23rd February 1930 Father Paschalis made his Retreat in Tisis near Feldkirch. While he was praying in front of the tabernacle he received a spiritual experience that later described as his own “conversion”. It gave him an “indescribable happiness”, that he should have been permitted to become a Priest and Religious. He furthermore understood that the most important thing for him was to love God above everything else and he felt called to do everything in his power to “meet the need for priests throughout the Church”. A talk he had with Bishop Kaller on November 1931, likewise during a Retreat - this time in Berlin-Biesdorf - led him to think that first priority should be given not to renewal but to the holiness of the priests. The young Bishop said to him insistently, “Father Paschalis, pray and think hard about what we can do to improve the holiness of priests.” In the following years he spoke several times to the Foundress of the “Frauenhilfswerk” for the promotion of priestly vocations, Princess Immaculata von Sachsen. During one of these discussions Father Paschalis told her about his idea of organising a Day of Prayer for Priests. The Princess was immediately persuaded that this was an inspiration from the Holy Spirit. On Low Sunday 1934 Father Paschalis Schmid attended the canonisation of Brother Konrad in Rome. He took the opportunity to have a long talk about his ideas with Father Pancratius Pfeiffer, the General Superior of the Salvatorians. Father Pancratius was immediately enthusiastic and from that moment he became the strongest and most important supporter of the Day of Prayer for Priests. He advised Father Paschalis to follow the advice of Bishop Kaller and to let the hoped for prayer movement grow up slowly from below. The leaflet A Prayer for my Curate had sold out inside few months. They believed that idea of the Day of Prayer for Priests could spread in the same way. How Relevant is it Today? When Father Paschalis discussed the idea of the “Priest’s Saturday” with the Berlin Cathedral Provost Bernhard Lichtenberg he immediately understood its significance and decided - together with Bishop Nikolaus Bares - to publicly celebrate the Priests Day immediately in the Cathedral. “It is so relevant for us today...” he said directly to Father Paschalis. In the newly founded Berlin Diocese with it’s great Diaspora, the capital, where Lichtenberg did not avoid confrontation with the National Socialists it was becoming clear what could possibly happen to priests in the future. Intercessory prayer was for Father Bernhard Lichtenberg one of the most important elements of Christian spirituality. He prayed daily in the evening with his parishioners for the needs of the people, it is in this way that they became very close to him. He preached about the Priest’s Saturday on the first Friday of September 1934 and on the following day - the Birthday of Our Lady - he inaugurated the Day of Prayer for Priests at a mass in the presence of the Bishop, the Cathedral Chapter and the faithful of St Hedwig’s Cathedral. Other Bishops immediately followed this example. And on 21st November 1934 Pope Pius XI during an audience with Father Pancratius gave his blessing to the initiative. With the foundation of the “Papal Work for Vocations” by Cardinal Pizzardo and Pope Pius XII in 1941 the movement was extended to include Priestly Vocations - something that Father Paschalis Schmid had in mind from the very beginning. The urgent need for priestly vocations in the aftermath of the Second World War, especially in Germany, was taken up by Father Paschalis when he developed this old idea of his. In 1953 he founded the periodical Priestersamtag today known as Wegbereiter and the movement was extended to include vocations to the Religious Life. The Monthly Day of Prayer was not only thought of by Father Paschalis Schmid as a day where the faithful prayed for a short period for vocations and the needs of priests for example during the celebration of the Eucharist, in communal or private prayer. He wanted them to dedicate the whole day to the Lord and so to transform it with all its duties and efforts into prayer. Moreover he was very aware of the power of intercession through the Virgin Mary and he desired that the faithful offer “all their prayers, works, joys, sorrows and sufferings” through her hands to the Divine Saviour Jesus Christ. Sixty years after its foundation the Monthly Day of Prayer for Vocations seems as relevant as ever. The Director of the German Vocations Information Centre Dr. R. Birkenmaier concludes rightly: “this day must be revived in all parishes and communities and be rejuvenated. Of course, we should pray in the interests of our own parish, but nevertheless it is an unselfish prayer because it includes the needs of all parishes and is for all types of vocations. We should place a great deal of importance on the value of the prayers and sufferings of the sick.” Only a prayer movement that includes a great many faithful and that is encouraged by prayer societies, communities, Bishops and priests will bring about a change in the cycle of vocations. It will be the cause of that deep happiness which comes through answering the call to be an Apostle of Christ and to serve in the vineyard of the Lord. In these testing but hopeful times it is especially wonderful to see that Father Bernard Lichtenberg who was the first to begin the Priest’s Day Devotion will through Beatification soon be raised to the altars as a martyr.